During their stay at Camp Penuel the children have a lot of fun doing many exciting activities! Of course, when they step off of their buses they immediately ask when they will go swimming! Camp Penuel in Ironton owns two swimming pools. The "big" pool is 4 feet deep at the shallow end and 10 feet deep at the other end, while the "waterfront" pool is 3 feet deep in all areas. The children also get a chance to experience many waterfront activities on beautiful Lake Killarney including: canoeing, paddle boats, splash boats (kayaks),pontoon boat rides, and fishing! 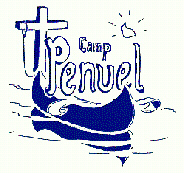 Camp Penuel also offers daily activities including: Music Class (where they learn the chapel songs), Arts and Crafts, Sports activites (kickball, baseball, football, and many more! ), A hike down the nature trail, Puppet Shows, Waterfront safety classes, Swimming lessons (given by certified lifeguards on staff), and many indoor games in the lodge such as fooseball and ping-pong. The activities at each individual camp may vary.